Beach? England? We actually have plenty and some of them aren’t all that bad. As a child I often frequented the most popular ones, Southport, Blackpool, St. Annes etc. This year for our annual ‘Ben Nevis trip’ back in May, my sister found us someplace new to try. (fyi it wasn’t Ben Nevis, my dad has simply named our trip after the destination of our first group holiday last year, you know just to confuse matters). Anyway… this new place, it was really something. Well first of all, we had no expectations. No idea what it would be like. The weather forecast wasn’t looking too great and none of us had even heard of this Yorkshire town all the way on the other side of the Pennines. 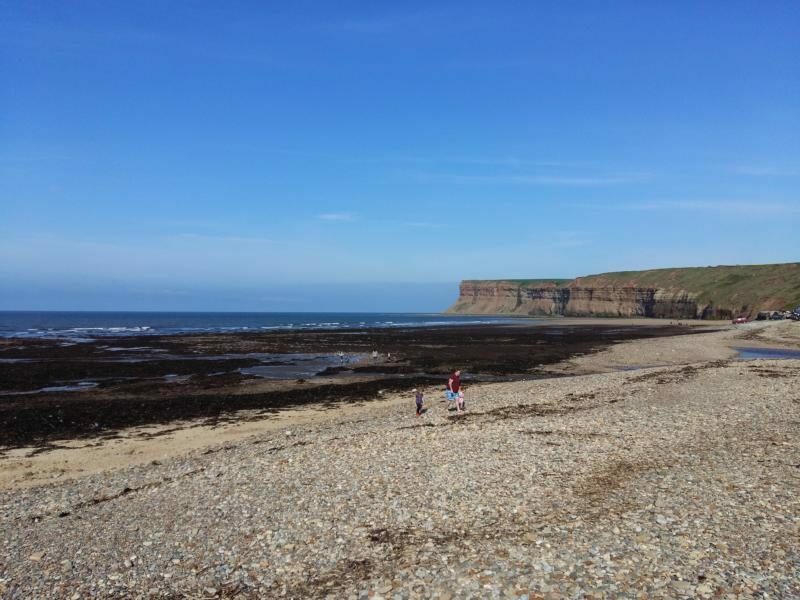 But onwards we went, to explore this Victorian seaside town known as Saltburn by the Sea. As we drove towards the coast, the roads wound up the cliffside until finally the sea came into view. Have you been here before? Have you even heard of it? I’ll be honest, the moment I laid eyes on the place, two things went through my mind: There was hardly anyone there! Forget the hen and stag do crowds of Blackpool and the chaos of Southport, this stretch of sand was almost empty, so peaceful with just the odd family dotted around enjoying the last half of the afternoon. The second thought that crossed my mind was how am I going to stop myself from telling people about this place. How can I stop myself from promoting it, help it keep its humbleness. 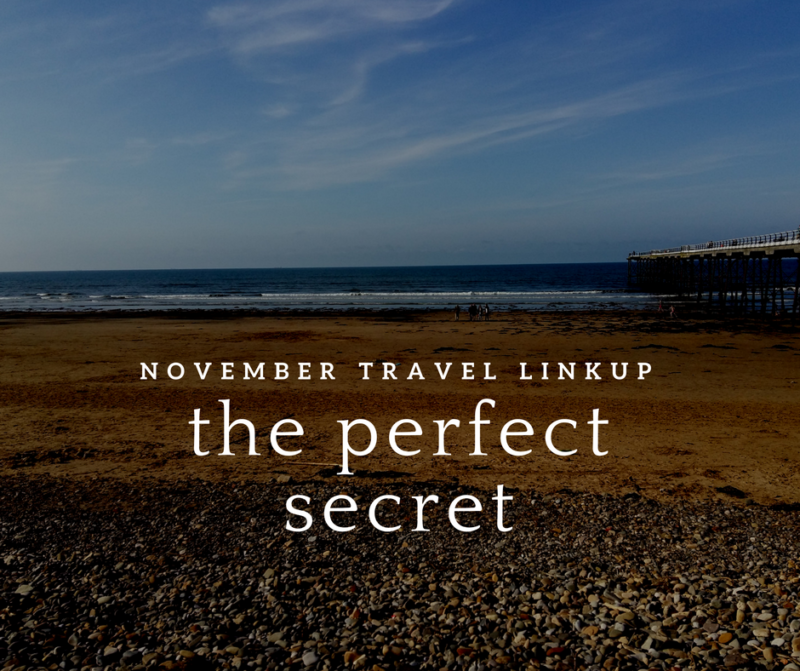 Well that went completely out the window when I saw this months travel linkup topic as when I think of my perfect moment here in the UK, I think back to that afternoon. I was surrounded by my closest family members, some sat on the benches looking out over the sea, others attempted to wade through the (freezing) cold water and the rest of us were taking advantage of the sea breeze and perfecting our kite flying skills. Just pop your post up over the first week of the month (the 1st – 7th November), add it to the link up widget below on either Angie’s, Emma’s or on our lovely co-host Jamie from Ink + Adventure’s blog. There are no rules – just check out some of the other cool bloggers that are involved, make a few comments here and there and tweet a few of the posts out to your followers that you think they will love (use the hashtag #travellinkup). The Travel Link Up is open to all bloggers – as long as the post is relevant!